Mod: The following story is straight out of the "you just couldn't make this up" circular file. 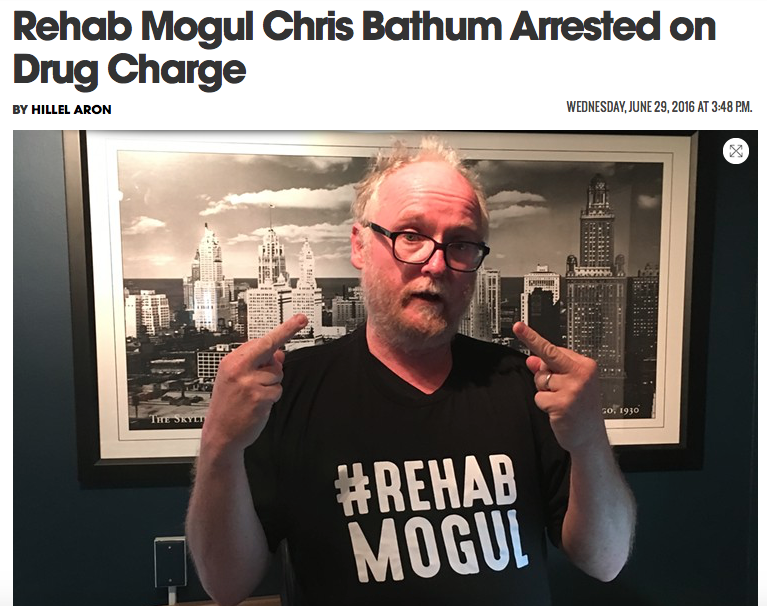 A controversial Los Angeles "Sober Living House" kingpin has now been busted for - you got it - drugs. Story courtesy of the LA Weekly. 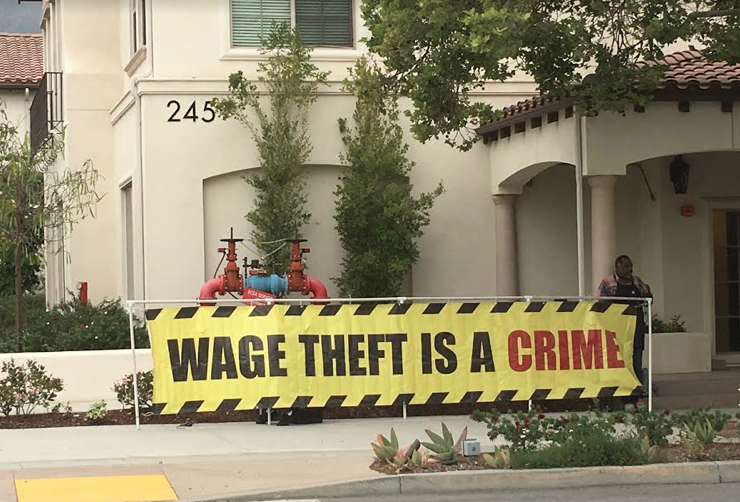 Coming soon to a neighborhood near you? Apparently just about anyone can get in on the highly profitable "Sober Living House" hustle. No local municipality questions ever asked. For the rest of the article on this tender topic click the (link). Mod: I missed last night's City Council meeting, so if anything stood out for you please share it here. But judging by the topics in the agenda the problems that were discussed had mostly to do with specific financial needs. 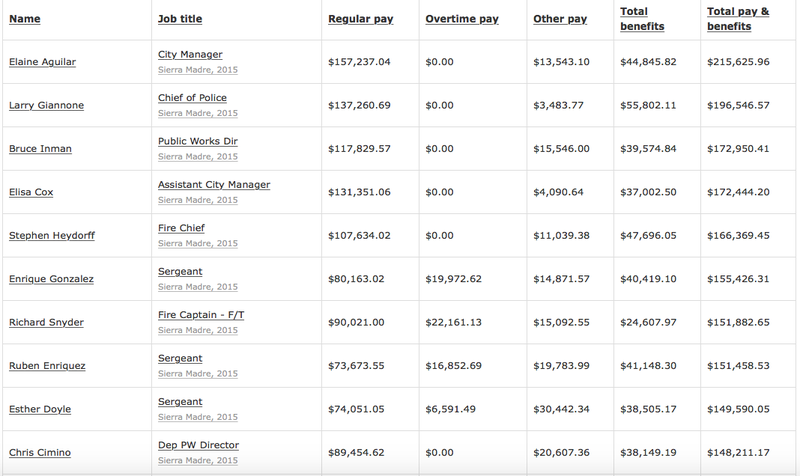 The city has to raise more money to cover the ever increasing requirements of its employees. Sierra Madre is hardly unique in that. The budget problems of 2016 & 2017 are now mostly driven by retirement funding. And with any drops in the stock market cities will need to ask for additional increases. Here are two articles that explain the financial pressures almost all California cities are facing. Manhattan Institute - California Crowd-Out: How Rising Retirement Benefit Costs Threaten Municipal Services: In recent years, California municipalities have seen retirement benefit costs grow at a rate above that of taxes, fees, and charges. 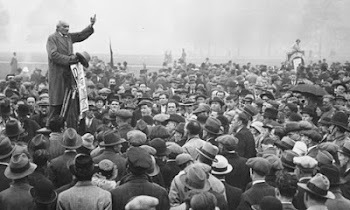 “Crowd-out” is the term given to this condition by some public officials forced to deal with the resulting fiscal strain. Balanced budget requirements mandate that when costs grow more rapidly than revenues, something must give. All too often, this has meant reductions in core government services, most of which—police, fire, libraries, parks, and street and sidewalk maintenance—are delivered at the local level in California. Retirement benefit costs have caused California localities to underfund basic infrastructure maintenance needs, even in affluent areas such as Sonoma County. Teachers in Los Angeles are threatening to strike over stalemated contract negotiations, as the school district has found itself unable to satisfy union demands for increased personnel and salaries, as well as its long-term benefit commitments. Mod: For the rest of this article click here. Fox & Hounds - What Brexit Could Mean for Public Pensions: Since Britain’s stunning vote to leave the European Union, U.S. markets have already plummeted and markets around the world are in mayhem. Economists warn that the vote will continue to have adverse consequences on financial institutions and markets around the globe, including the U.S., for an unforeseen amount of time. Mod: Click here for the rest of this article. 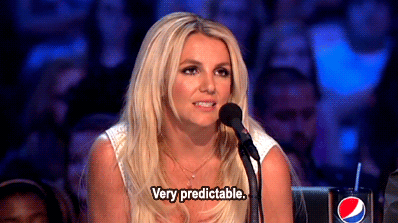 Will The Results Of Tonight's Sierra Madre City Council Meeting Really Be This Predictable? 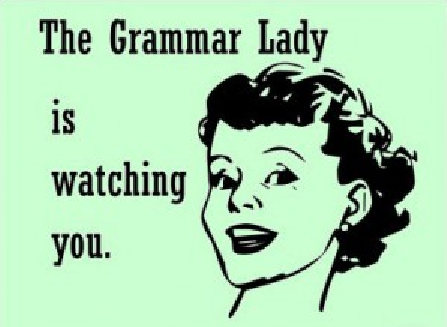 Yes, probably. I mean, what other possible results would you expect? The budget will be appreciated and processed, despite the fact that it is so much more expensive than what was called for the last time around. 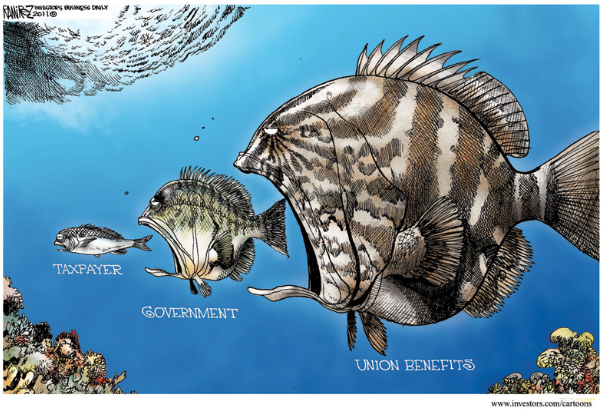 That employee health benefits fiasco will be quickly swept under the carpet. 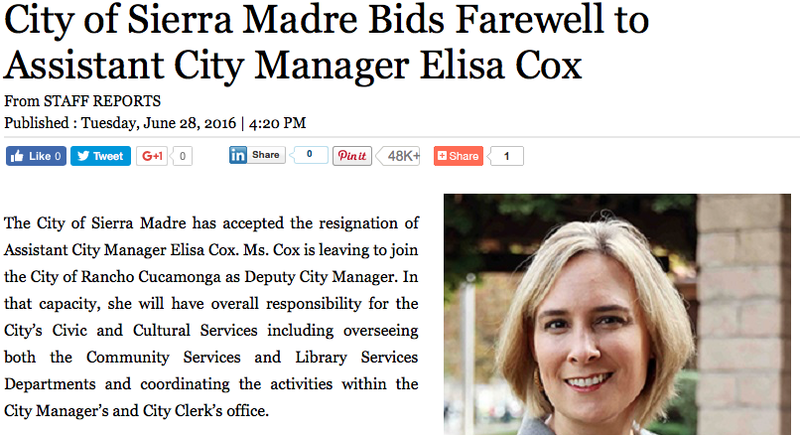 No one should ever want to embarrass the City Manager, despite the six figure cost of her misstep. 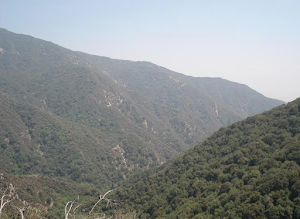 And the "Parks Parcel Tax" will be criticized for not bringing enough money back to Sierra Madre, but once that's said it will then be feted for its great significance. This despite the fact that it is a draconian tax increase on the people of Los Angeles County, with no convincing assurances that the revenues created will be used for the purposes claimed in the vaguely worded accompanying paperwork. And yes, John Capoccia will proclaim it "necessary." Just like he did with Measure R2 last meeting. You know, such as when he claimed that none of the resulting revenue would ever go to the 710 Tunnel. All apparently based on the say-so of his pals at The COG, Metro and SCAG. Organization men do love the establishment. As far as that 2016 - 2017 budget goes, have you ever wondered why the numbers are so different from year to year? Shouldn't there be at least some small semblance of logical continuity? You'd think that they came from two different cities. 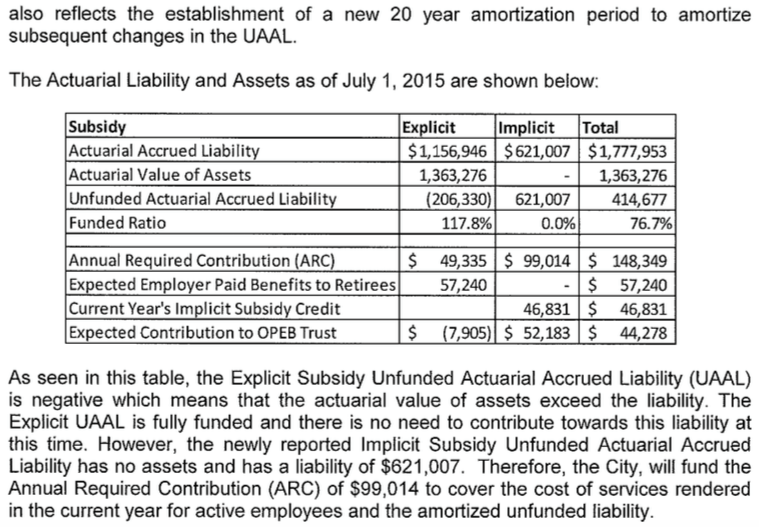 The predictable explanation for this accountancy mash-up is Measure UUT passed, things changed, and now City Staff and the City Council can express their true caring natures by lavishing generous amounts of newly won tax money on staff salary bumps, benefits increases, kids just out of a second tier Police Academy, and CalPERS. Not necessarily in that order, and certainly having nothing whatsoever to do with repairing water infrastructure. 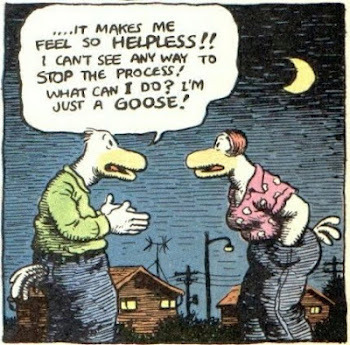 So rather than dwell any further on things that are as drearily predictable as those involved in the so-called City Council "decision making process," let's check out some other stuff. 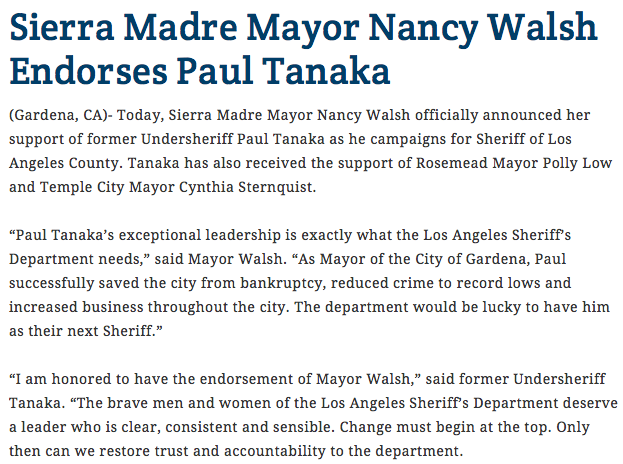 Former Undersheriff Paul Tanaka Sentenced To Five Years In Prison (LAist link): Former Los Angeles County Undersheriff Paul Tanaka has been sentenced to five years in prison for his role in the jail abuse scandal. Tanaka was found guilty in April of conspiracy and obstruction of justice for attempting to block a federal probe into the county's jail system. "Not only did he fail to identify and address problems in the jails, he exacerbated them," said U.S. District Judge Percy Anderson, who sentenced Tanaka on Monday morning. "One of the most troubling things is... your efforts to shield dirty deputies have been largely successful," Anderson said to Tanaka before delivering the sentence, reports City News Service. Anderson added that several corrupt deputies remain in "positions of authority" within the Sheriff's Department despite over a dozen convictions of sheriff's officials in similar cases of abuse and corruption. 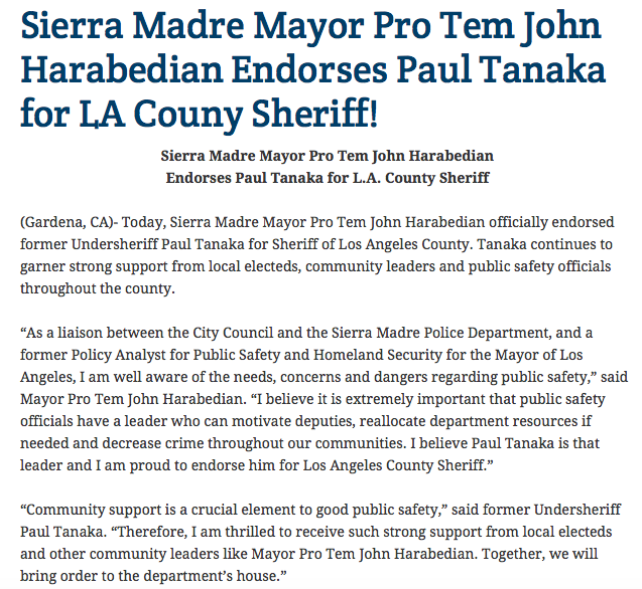 It wasn't too long ago that Paul Tanaka was running for the Los Angeles County Sheriff's job and had the support of two Sierra Madre's finest elected officials. Here is how their endorsements of this convict read. Shrewd judges of character, and yet another indication of why things have gone so well here. The odd thing is that the information about Tanaka's brutal crimes had already been made available by the time these clueless endorsements were made. Yet somehow it made no difference. You'd think that a former "Homeland Security" policy analyst such as John Harabedian would have known better. California may have a huge groundwater reserve that nobody knew about (Washington Post link): In a surprising new study, Stanford researchers have found that drought-ravaged California is sitting on top of a vast and previously unrecognized water resource, in the form of deep groundwater, residing at depths between 1,000 and nearly 10,000 feet below the surface of the state’s always thirsty Central Valley. The resource amounts to 2,700 billion tons of freshwater, mostly less than about 3,250 feet deep, according to the paper published Monday in the influential Proceedings of the National Academy of Sciences. And there is even more fresh or moderately salty water at more extreme depths than this that could potentially be retrieved and desalinized someday for drinking water, or for use in agriculture. Mod: The world can be an ungrateful place, and there really isn't too much that you can do about it. 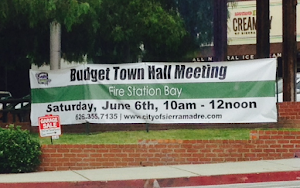 Take Don Murphy, present owner of Sierra Madre's previous City Hall. 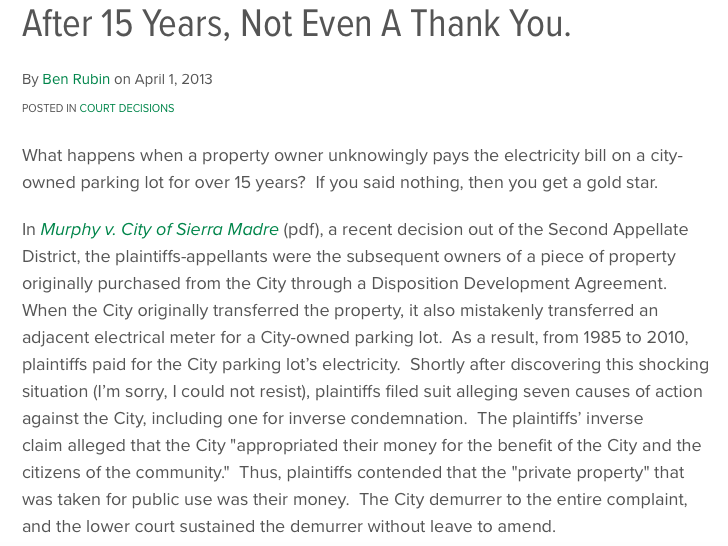 After inadvertently paying the electric bills for one of the City of Sierra Madre's parking lots, and for 15 long years mind you, Don found himself in court up against the full force of city hall's legal might trying to get his money back. In case you were wondering, below is what the city's legal mightiness was looking like when all of this went down. 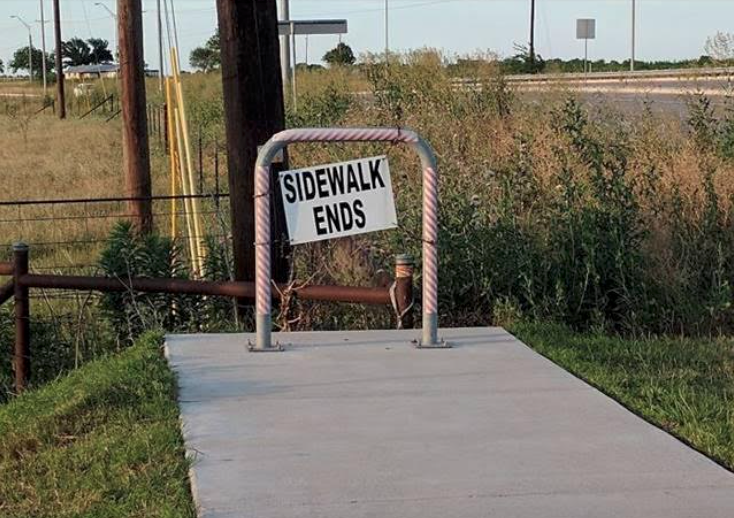 As you can easily see, the city spared no effort or expense. 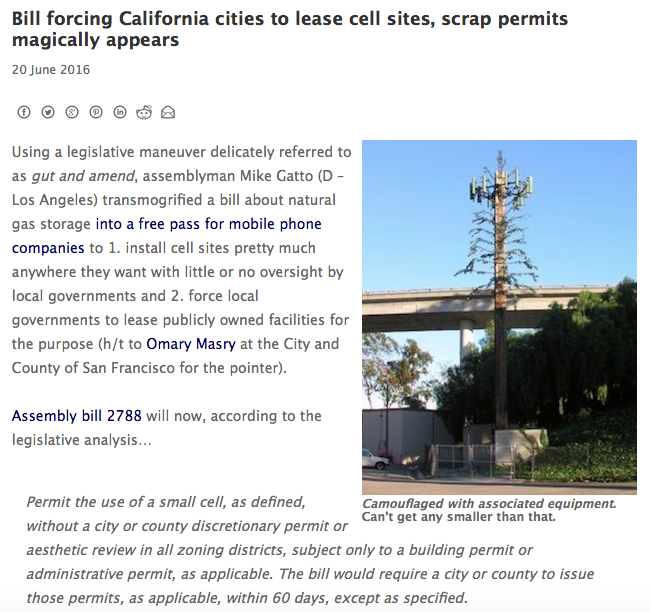 Here is the California Eminent Domain Report on what went down (link). If you'd like to see the court's decision, click here. I received the following interesting email from a reader a few days back. 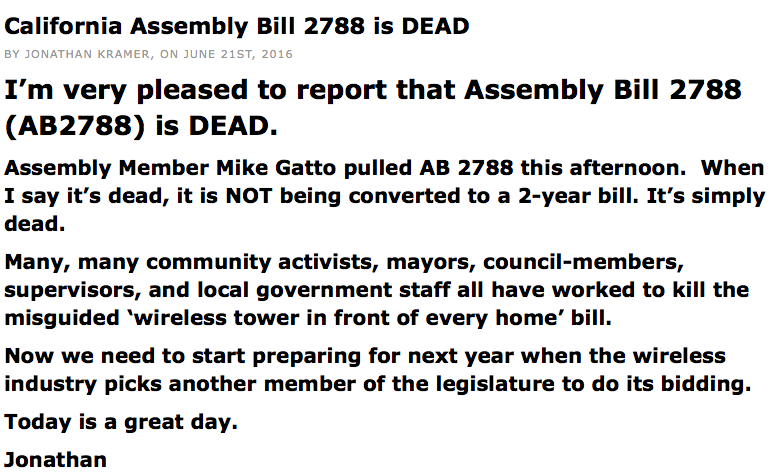 It had to do with a California Assembly bill being pushed by the campaign cash obsessed local political irritant, Assemblyman Mike Gatto. 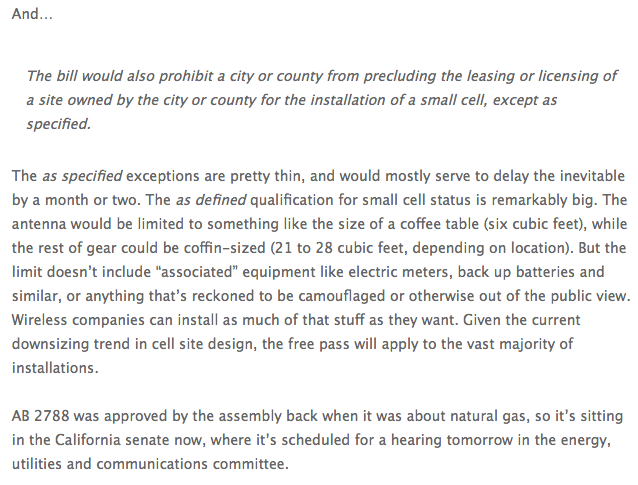 I wanted to provide you a story tip, about a very sneaky bill being pushed through Sacramento this week. It would basically allow companies to install wood or steel poles of any height in front of your home with cabinets featuring noisy cooling fans, and possibly diesel generators in your front yard (unless you live in a gated community). The bill (up soon for a vote before State Senator Hertzberg on the Energy Committee) would gut any local regulation for common sense issues (e.g. diesel generators near child care, equipment cabinets next to your bedroom window, tenant displacement, and so on). 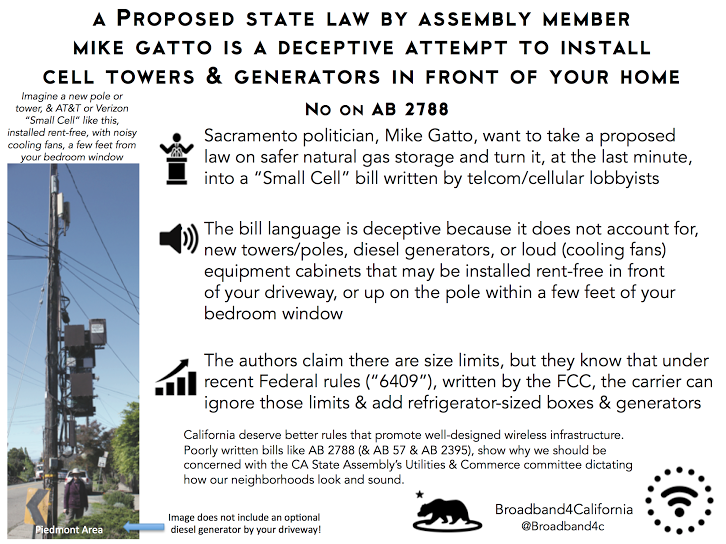 The bill number is AB 2278. It is being carried by Assemblymember Mike Gatto of Burbank. He is desperately trying to raise money to run against Fiona Ma for State Treasurer. This email included a link to the following article, which I am sharing with you here today. It was originally published on something called Steve Blum's Blog and can be seen in its original setting by clicking here. Sometimes the good guys can win. Click here for link to the rest of the story. It's not just cell towers, of course. Here is an interesting article from Preserve LA. Developers Spend Big Money on Lobbyists to Win Profitable Favors from Los Angeles Pols - In the first quarter of 2016, developers made up seven of the top ten companies that spent the most cash on politically connected lobbyists in Los Angeles, according to the city’s Ethics Commission. 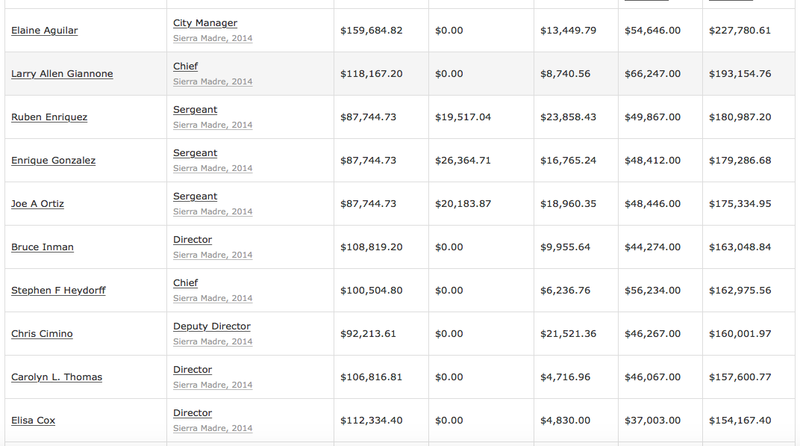 In total, development firms and other companies spent a gigantic $13.5 million on City Hall lobbyists in the first quarter. On June 21, the Ethics Commission revealed that out of the top ten companies that spent the most money on City Hall lobbyists in the first quarter of 2016, nine of them were pursuing building projects — and seven of those nine were development firms. They include Jia Yuan USA; MREC HD Elysian Park; Trammel Crow Residential; Townscape Partners; CH Palladium; Jamison Properties; and Crossroads Associates. AEG, Clear Channel Outdoor and LAFC Sports round out the top ten. In other words, spending money on high-priced, politically connected lobbyists gets results for developers and other companies at City Hall — and they reap king-sized profits once City Hall approvals are obtained. Sierra Madre City Council Meeting Consent Calendar Item 1c. 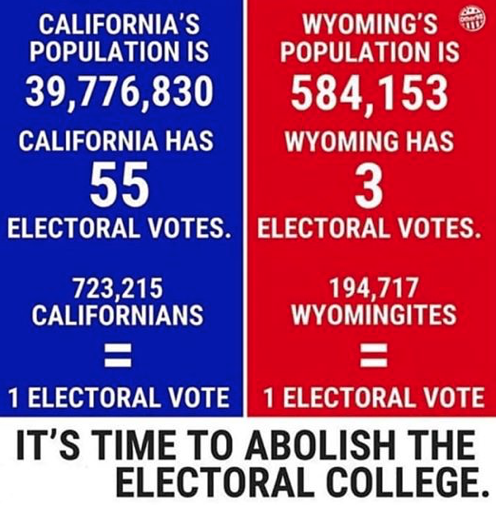 Can You Make Any Sense Of It? I try to decipher these things when people ask, but every once in a while something shows up that makes absolutely no sense whatsoever. There are a few possible explanations for this. The first being that the staff report or document is poorly written and things are just not very well explained. 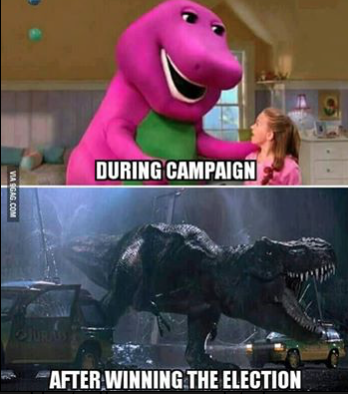 That happens sometimes. 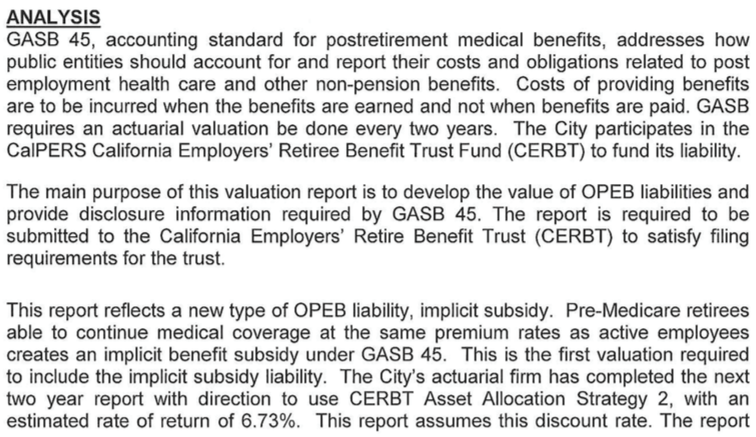 Another would be that an opaquely written report covers a potentially controversial matter, and the city staff reporter does not want people to concern themselves about it too much. Such as an item involving increased health care benefit liability costs. 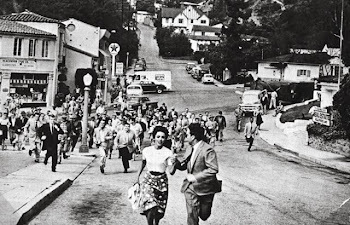 This at a time when people had been told that such costs have now been managed, and the bad old days when Sierra Madre had some of the richest health care packages in the state are now safely in the past. Of course, that could be pre-Measure UUT thinking, and with the money in the bag these bodies are now being allowed to float to the surface. But only in an obliquely written way. No need to spook the herd. Here is a chart we posted in September of 2014 (link) that detailed just how expensive some of Sierra Madre's health care package costs back then really were. At the time that $37,815 "Health, Dental and Vision" item was the highest in California. Anyway, here is a portion of Consent Calendar Item 1c for next Tuesday evening's City Council meeting (link). Can you make any sense of this? Care to take a swing at this? 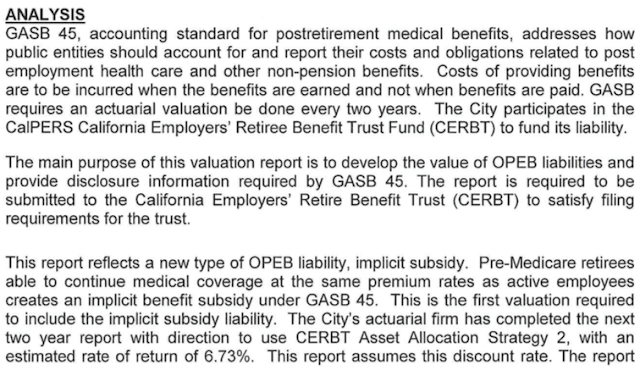 It sounds to me like some sort of health care benefit costs are going up, but City Hall does not want to come out and actually say that. However, I am not sure. 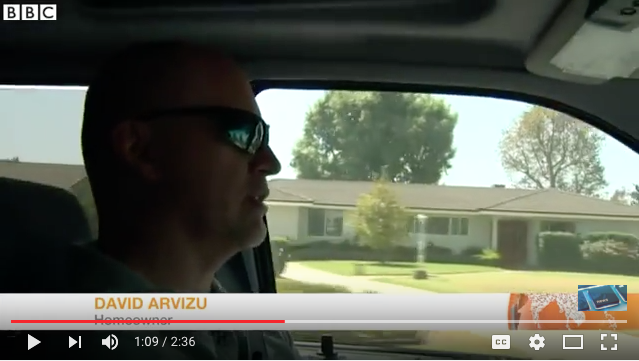 CNN Money In Arcadia: "You may not have heard of this Beverly Hills"
Brand new CNN Money news video that is all about Arcadia: "Forty-five minutes north of Los Angeles is a place referred to as the Chinese Beverly Hills. CNNMoney's Vanessa Yurkevich tours the booming town of Arcadia, California." For this video click here. 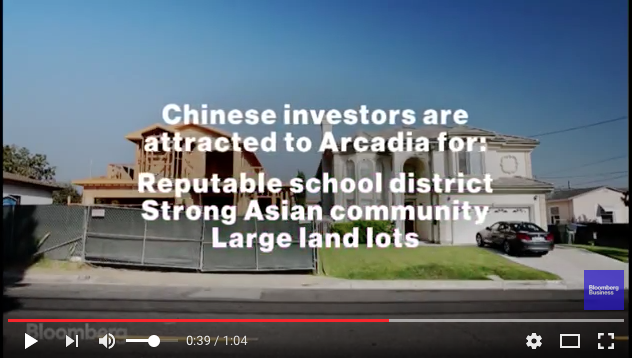 Vocativ's verbiage: "The town of Arcadia, California, has gained the nickname “The Chinese Beverly Hills.” Peggy Fong Chen, who makes a living selling high-priced real estate in Arcadia, says that almost all of her buyers are from mainland China, and almost all of her clients pay for their multi-million dollar homes in cash. 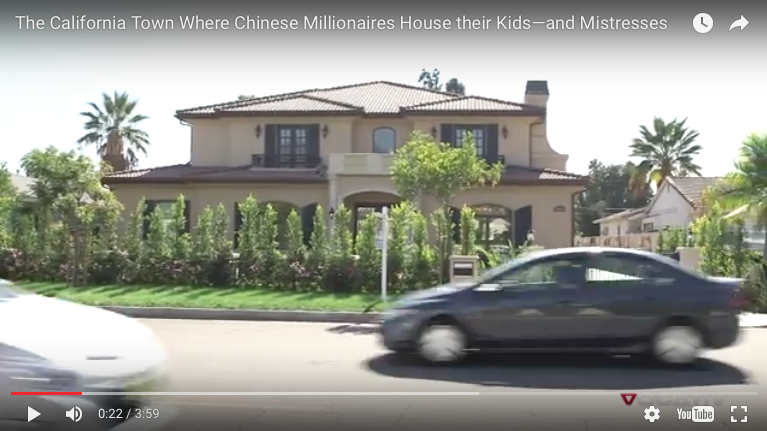 Many Chinese billionaires buy these homes along with exotic cars for their children attending American colleges. Others use these mansions for the less wholesome purpose of housing their mistresses. Whatever their reasons, the Chinese elite are buying up American real estate like never before–to the tune of $22 billion last year alone." Then there is this fairly recent video from the BBC called "Why those in the Chinese Beverly Hills area are worried." BBC: "China's economic challenges have implications far beyond the country's borders. For instance in the United States, wealthy Chinese tourists and immigrants have transformed Los Angeles' San Gabriel Valley. A generation ago, the area was predominantly white. Now it's majority Asian and Chinese businesses dominate the suburban landscape. 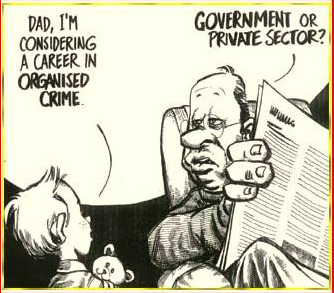 But China's economic instability has many there on edge. Regan Morris reports from the area known as the Chinese Beverly Hills." Once more. 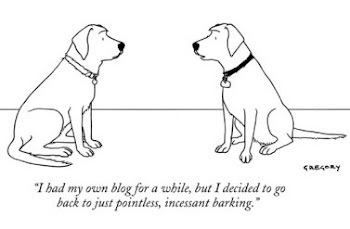 This one comes to us from Bloomberg Businessweek. Bloomberg: "In South Pasadena, California, an estimated 1 or 2 homes will be demolished this year and replaced with mansions. Just a few towns away in Arcadia, that number jumps up to 150 homes. Many of the new residents come from China’s rising millionaires. Bloomberg Businessweek explores why." 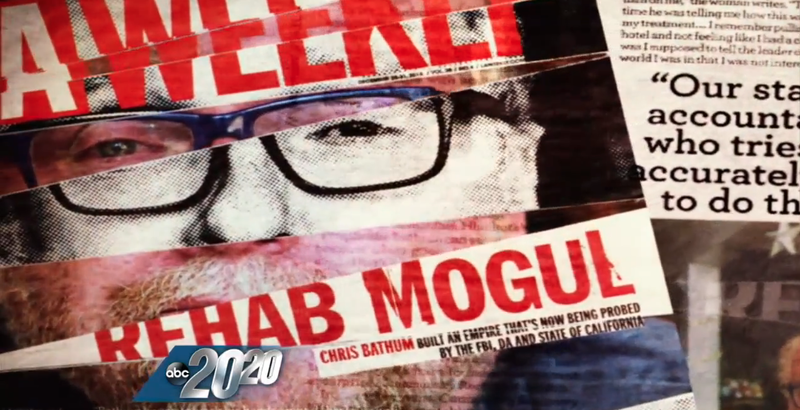 The CNN Money video is new and currently running on their cable news outlets. The others are from mid to late 2015 and predate the recent Arcadia City Council elections. 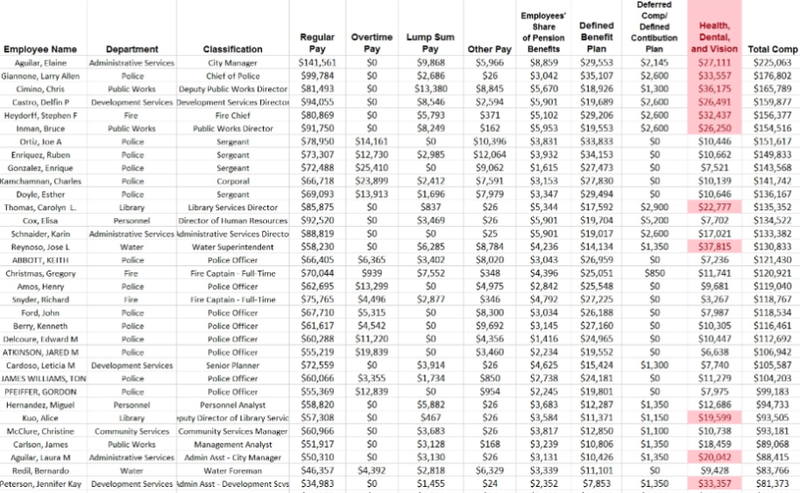 The salary and other compensation numbers for 2015 are in, and as far as Sierra Madre goes it is a mixed bag of results. 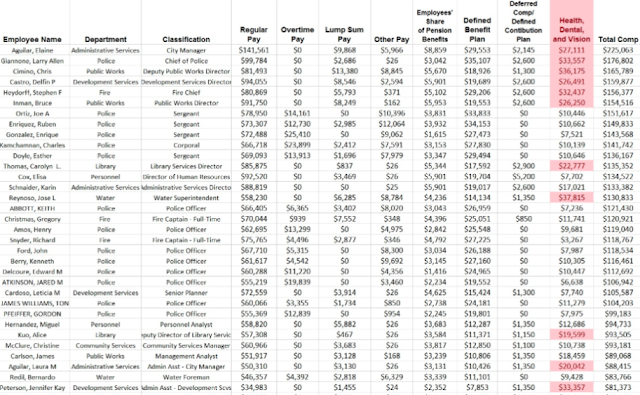 While many city employees saw salary increases, overall compensation numbers for some actually went down. This might be because of ongoing downward adjustments being made here to what are still very generous benefit layouts (link). 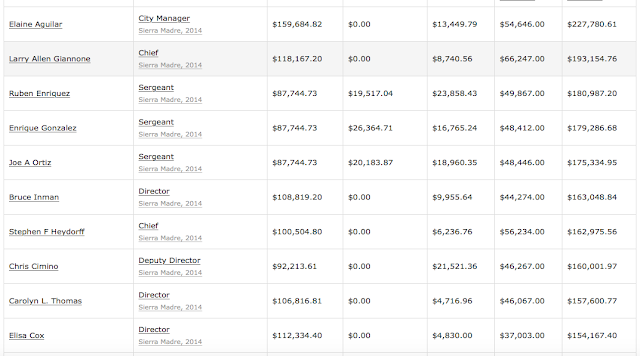 Below is a list of Sierra Madre's top 10 most highly compensated employees for 2015, followed by the top 10 for 2014. To view the results for all city employees click here. This following piece ran yesterday in all of the Southern California News Group papers. 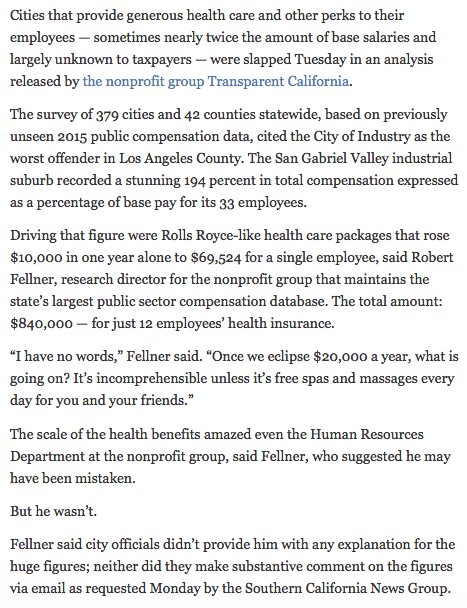 It draws heavily on the 2015 public employee compensation numbers just released by Transparent California. 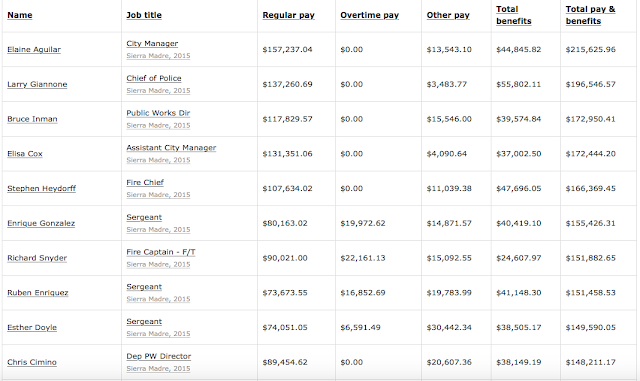 Note that in California an average government employee is now being paid approximately double what his/her counterpart in the private sector is making. To view the rest of this Star News article click here. 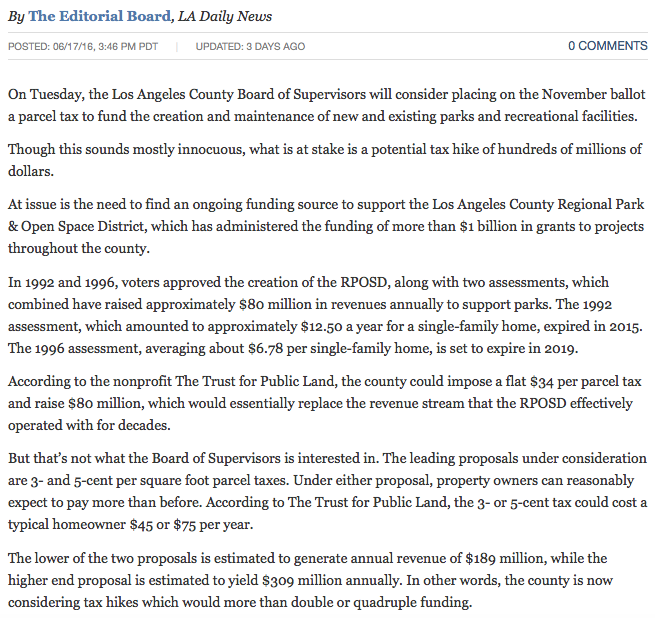 Mod: If you are still trying to figure out the Parks Bond / Parcel Tax measure that Los Angeles County is trying to impose on the people living under its mighty thumb, then this LA Daily News editorial should help. 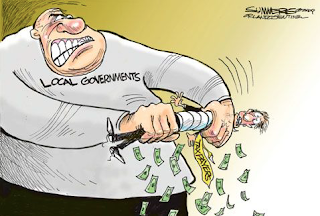 It pretty much nails what the county is attempting to do, which is accumulate an awful lot of money without anyone noticing how badly they are being ripped off. Check it out. That last paragraph is pretty important. The rest of this editorial can be found here. To put this all into a local perspective, here is a paragraph from the agenda report that covered this matter for Monday night's Community Services Commission meet up. 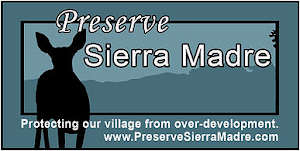 Sierra Madre's portion to pay is $257,000. Sierra Madre in return receives only $75,000. 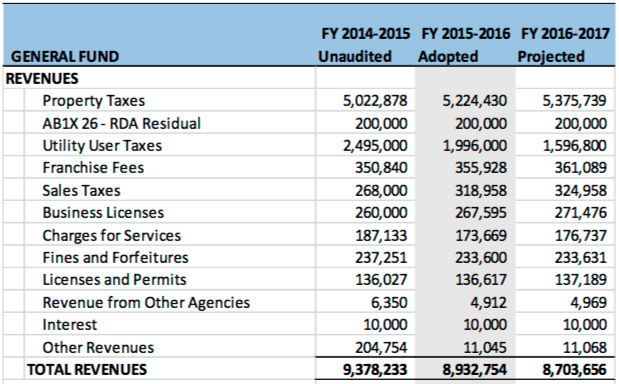 Los Angeles County altogether gets $189 million to do with as they like. Of course, if they decide instead on a 5-cent per square foot parcel tax those numbers go way up. I think the county was counting on you not noticing. Keep all of this in mind when the City Council takes the matter up next Tuesday evening. You might now know more about this stuff than they do. The Los Angeles County Regional Park and Open Space District (RPOSD) is proposing that the Los Angeles Board of Supervisors place a bond measure on the November 2016 ballot to continue funding park and recreation projects throughout Los Angeles County. The City has historically benefited from previous parks assessments and would likely benefit from this one. However, through some study, the proposed allocation distribution raises issues over fiscal equity to the communities where the tax would be levied. Due to these concerns, staff recommends the Community Services Commission recommend the City Council support the proposed measure with modifications. However, the outcome was not what staff had hoped for. The Community Services Commission recommended that the City Council completely reject the entire thing. Outright. And their vote was unanimous. There are some good reasons for this. The first being it is too soon after Measure UUT. The community already voted to give City Hall the additional moneys it claimed it needed to do things like take care of the town's parks. Or so they had been led to believe. 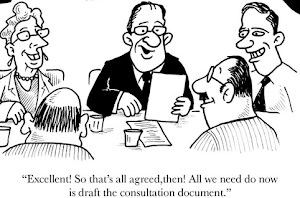 To ask people to come up with additional dough for services many believe they had already paid for was not seen as the wisest thing to do right now. 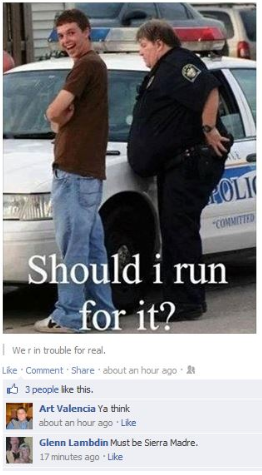 It could raise some unfortunate questions. While the results of the Assessment showed needs in all communities, the proposed allocation distribution raises issues over fiscal equity to the communities where the tax would be levied. 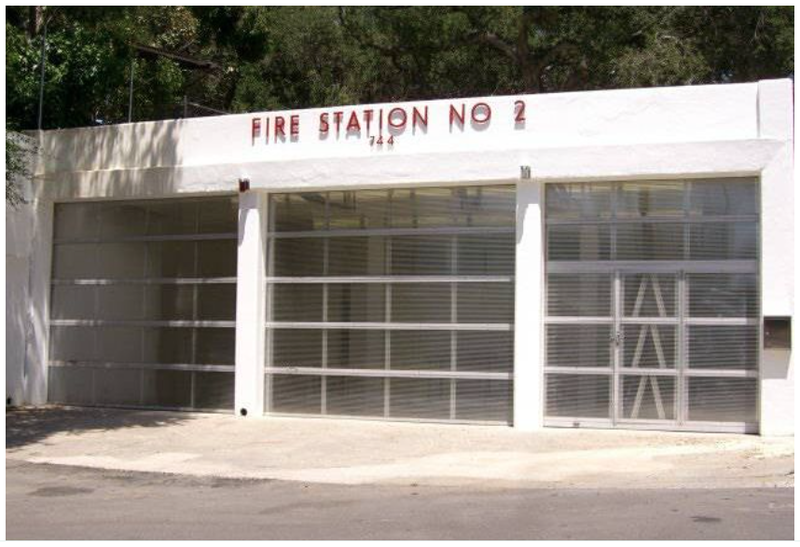 As currently structured, Sierra Madre residents would be taxed annually approximately $257,000 presuming that the $0.03 per square foot levy is adopted. 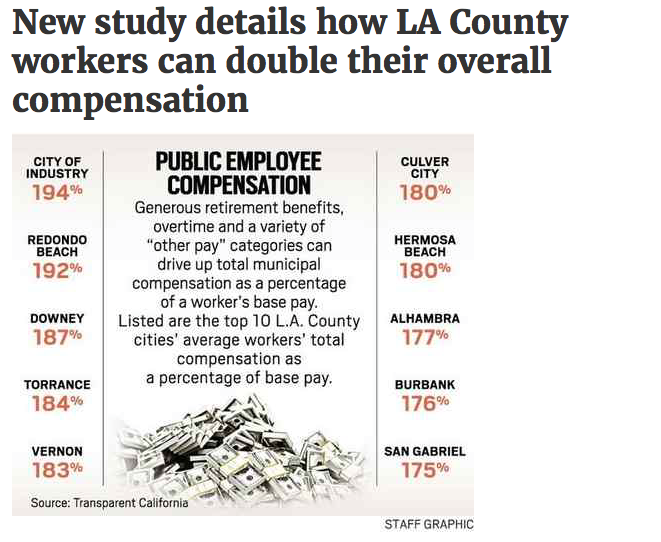 Yet, the City of Sierra Madre would only be guaranteed to receive annually 29% or about $75,000 (the combined total of Grant Category 1 and M&S category) according to County Staff presentations. Apparently there are a few cities that are not happy about how these bond moneys are to be allocated, and they don't see the point in having to pay more than they could ever hope to receive. Having their park money redistributed to some of the poorer communities among us just isn't cutting it with some. There has been far too much of that sort of thing already. 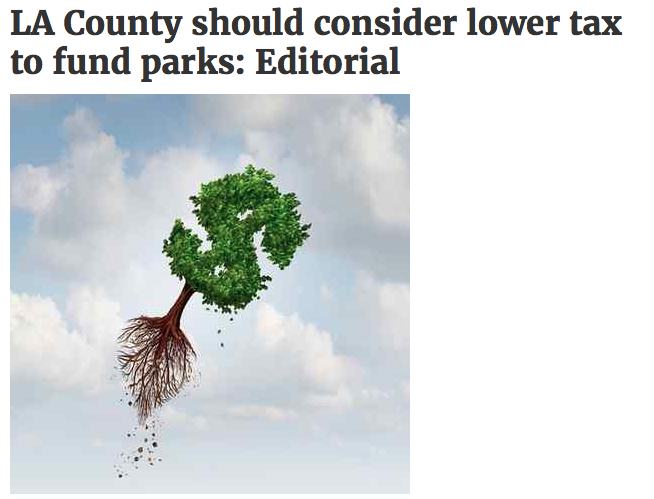 But there is another reason the CSC rejected the entire so-called "Parks Bond Measure" outright, and that is the phoniness and dishonesty of the County's appeal. Here is how Commissioner Pat Alcorn put that in a comment posted here yesterday. This is a much bigger issue and can't be discussed intelligently with only a 4 day notice, much less be able to make an informed decision. This proposed measure, while it is very worthwhile to have funding for parks and facilities, misses the mark on many levels. What worries me is the polling of 1,010 likely voters shows that 69% would definitely, probably or lean toward voting yes in favor of a ballot measure, and that number would increase with "education." That education emphasized clean water, keep open spaces, keep our kids safe, and water conservation. Who doesn't want our kids safe and have clean water? That funding is lopsided and not beneficial to the foothill communities is only the main objection. Of course everyone loves their children, likes clean water and enjoys open spaces. But what does any of that have to do with floating a bond that rips Sierra Madre's taxpayers off as badly as this one will? This has a lot less to do with "education" and more about slick LA County taxation propaganda designed to help increase an already massive take. Couple this with Measure R, a sales tax ballot measure on the ballot this fall designed to fatten the coffers of erstwhile 710 Tunnel building Metro, and you can see that the Board of Supervisors is hardly interested in doing a park bond issue alone. 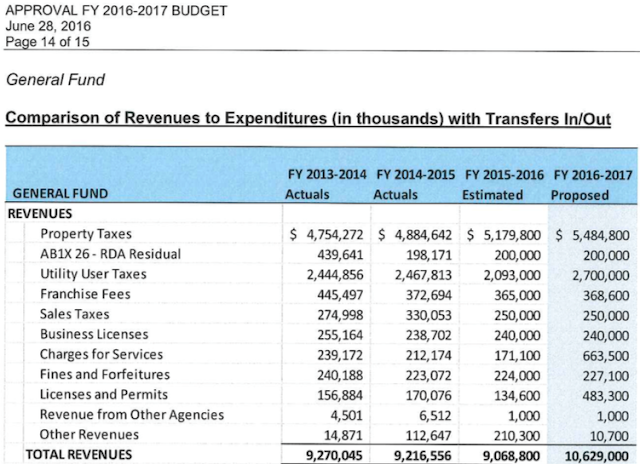 According to the Los Angeles Times, the entire budget for Los Angeles County, as administered by its Board of Supervisors, is a massive $28.5 billion dollars (link). Up $282 million from the year before, it is a level of spending that can only be achieved by raising taxes. Like perhaps with this Park Bond effort? At least in part? 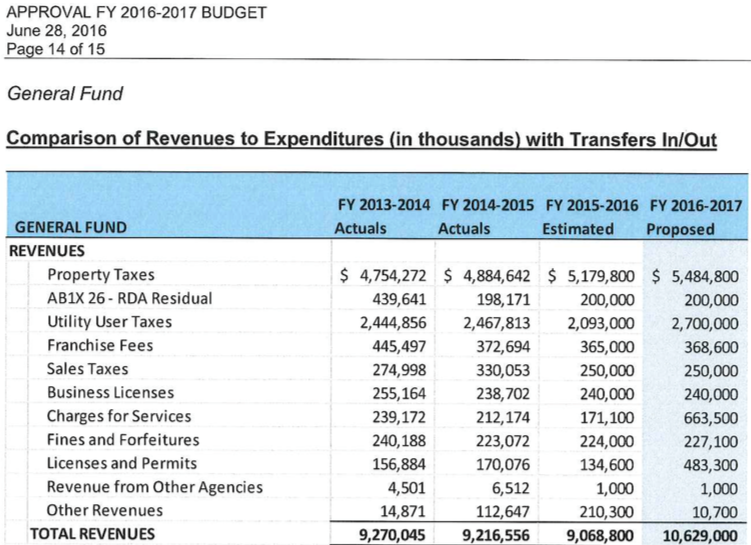 Los Angeles County officials on Monday released a proposed $28.5-billion budget for the next fiscal year -- a plan that would boost overall spending by about 1% but does not spell out how shortfalls in the coroner’s office and some other key programs will be solved. In presenting the budget, county Chief Executive Officer Sachi Hamai said leaders are committed to "lifting the quality of life for all of our residents," but are "challenged by the demand for county services that far exceeds the available financing sources." The proposed spending plan is an increase of $282 million from the year before, offset by projected increases in property taxes and other revenues. It includes $99 million for the county’s new homelessness initiative and $19 million for wage increases the Board of Supervisors passed last year for in-home care workers. It also includes $11 million for physical and mental health services to be provided by the newly created Office of Diversion and Reentry, which is focused on moving low-level offenders with mental health and substance abuse issues out of county jails and into treatment programs. In case anyone is wondering where some of the money for that sudden proliferation in sober houses has been coming from, that source apparently is you. Last night the Community Services Commission recommended just saying NO. They are to be commended for having shown the courage and integrity it took to do so. It will be interesting to see how the City Council will react to their recommendation. And as it stands now that wait will not be a long one. According to the most recent City Managers Report (link), it all happens next Tuesday. Not that anybody was rushing into this or anything. Four days notice and all. Last item, of course. Tax hikes most often are. 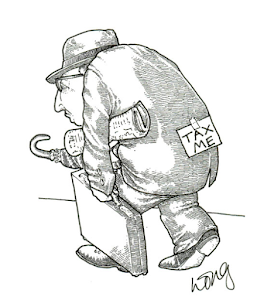 The City of Sierra Madre, its voters, and those just curious about the occasionally outre' ways of this little town nestled beneath the mighty foothills of the San Gabriel mountains, would all have to be out of their collective minds to support this tax boondoggle. However, achieving that mental state has not been too much of a problem here lately. Now just about everyone loves parks, even those who haven't set foot in one in decades. They're kind of like libraries that way. 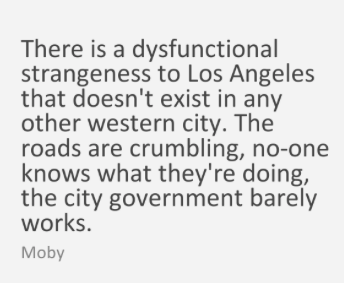 And Los Angles County and the tax happy Board of Supervisors that runs it have always had a burning need to weasel more dough out of the hapless taxpayers who live within the borders of their crumbling and traffic choked kingdom. 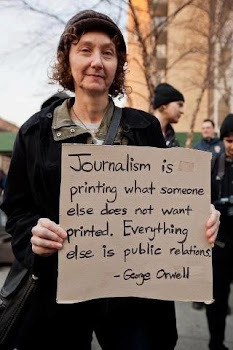 That, along with lavishing your tax money on their crooked cronies, is what they do. Trust me, Cook County has nothing on our guys and gals. And most voters seem to accept all of that since they keep electing the same venal County Supervisors to office decade after decade. But why in the world would anyone expect Sierra Madre's Community Services Commission to support something as financially disadvantageous to this community as the following? I guess that is what City Staff feels could need some "modifications." 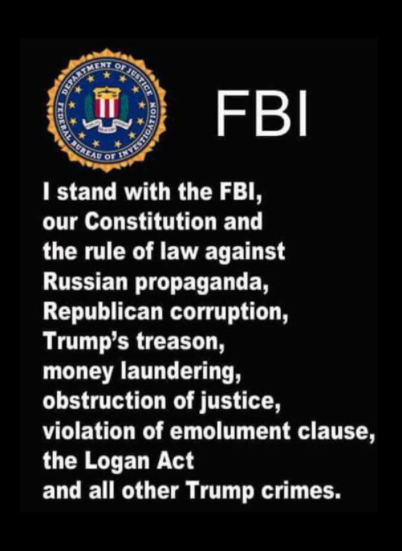 Here is my question. 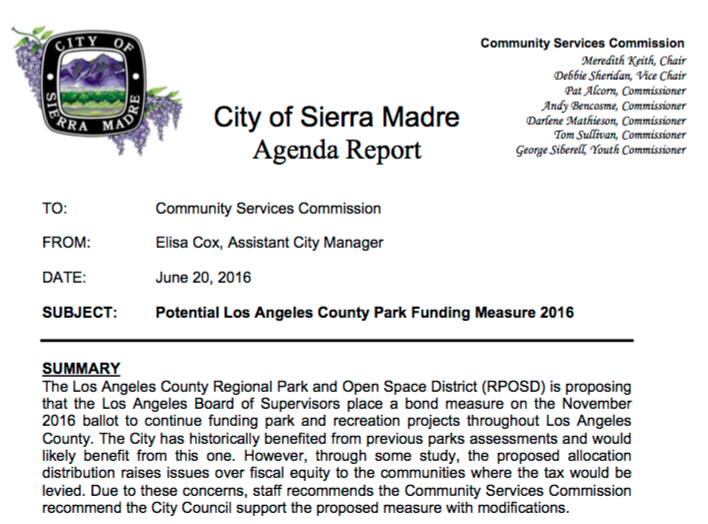 Certainly such an unfair tax hit to Sierra Madre would have some appeal to many of the other cities in Los Angeles County that have parks. And apparently most towns will get back more than what they put in. Unlike Sierra Madre. 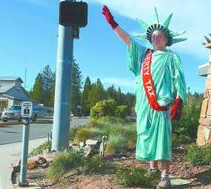 So why wouldn't they want to approve such a thing without any modifications and stick places like the Foothill Village with their parks and recreation bills? Does a rejection of the above by the Community Services Commission really mean that such an inequity will then just go away? I doubt that is how this funny money equation is designed to break. Meaning the county will just say that a majority of its cities were down with what is a blatant act of piracy, and then slap this screaming little monkey on the ballot. I didn't see that being mentioned in the staff report. Maybe they forgot to mention it. Does anyone remember why Sierra Madre Fire Station No. 2 was sold? And who exactly did it? It is Father's Day. That one moment out of this entire arduous year where the remote and disinterested working stiff who pays everyone's bills gets dragged off to an Olive Garden at some godforsaken Caruso Mall with a few thousand unskilled leisure amateurs. And under those very difficult circumstances is celebrated over a blooming onion, some cheesy bread, and your choice of soup or a salad. But never both. OK, so that is my jaundiced view of today's special event. I've always chosen to believe that Father's Day is a faux holiday invented by Hallmark Cards so they could move some serious amounts of colored cardboard. At this point in my life there will to be no changing my opinion about that. And just so you know, we're celebrating the day at my house by watching the 7th game of the NBA playoffs. Beer will be served in agreeable quantities and no, I will not be wanting a tie this year. They just don't fit with the Hank Williams III t-shirts I've been wearing lately. However, and as you certainly must be aware, fathers do like to read the news. They want to know that there are far worse things out in the world than the kinds of grim nonsense they have to deal with on a daily basis. And why not? We all need our small moments of escapist fantasy. In that spirit I have selected the following news stories for all of you dads out there. Addiction Treatment Industry Worried Lax Ethics Could Spell Its Doom (The Huffington Post - link): The premier organization representing drug treatment providers met in South Florida recently for its annual convention. 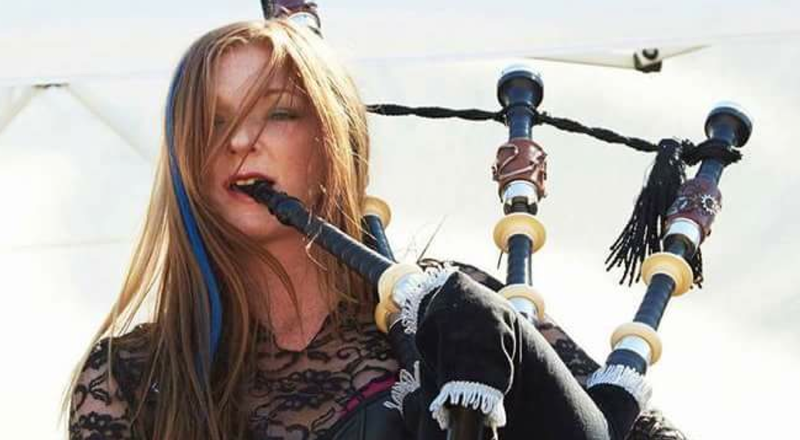 The theme of this year’s gathering — “The Addiction Industry at a Crossroads” — only hinted at the internal tensions and external pressures reshaping a troubled industry. The opioid epidemic, which just added Prince to its list of victims, has shoved the addiction industry into the spotlight, and many here at the National Association of Addiction Treatment Providers conference worried aloud how the industry’s lax ethical standards would look in the new glare. 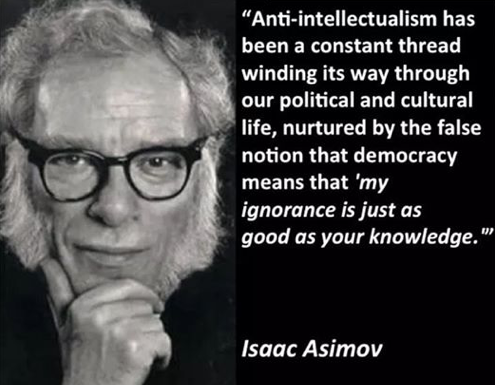 Nor is greater attention to ethics the providers’ only threat. Drug treatment is now big business, and a wave of consolidation is sweeping the industry, as private equity firms and publicly traded companies look to cash in on the surging rates of addiction. 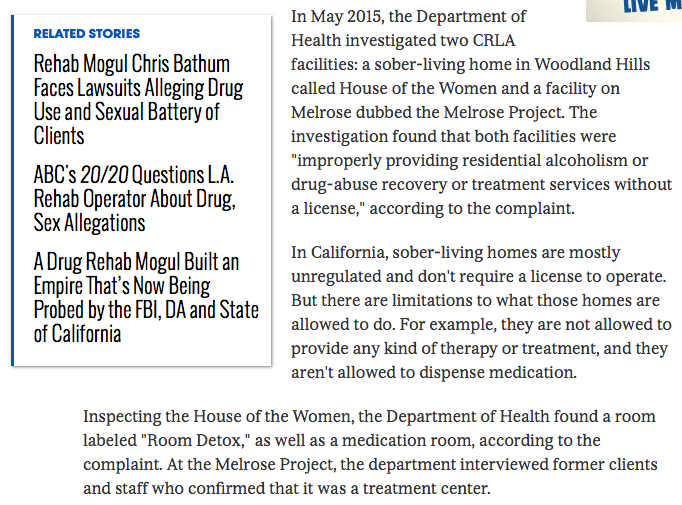 Federal regulators, meanwhile, are pushing to reform the very nature of the services offered by treatment centers. 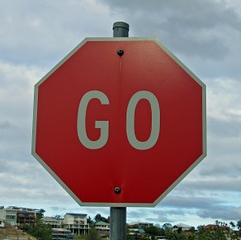 How the addiction industry faces up to all these changes will help set the course of drug treatment for years to come. Pasadena woman arrested for rock-throwing vandalism in Arcadia, Sierra Madre (The Pasadena Star News - link): Police officers in Arcadia Saturday morning pulled over a woman in a black Mini Cooper who was wanted for throwing rocks into buildings and vehicles in Arcadia and Sierra Madre, authorities said. Sierra Madre police said the woman is accused of throwing rocks through windows of three buildings and one parked car Saturday morning, but didn’t release the time or locations. Shortly after a bulletin on the Sierra Madre incidents went out at about 7:30 a.m., Arcadia officers who were also investigating similar cases of vandalism spotted the woman in her car and stopped her, said Arcadia police Sgt. E. Lopez. The 35-year-old Pasadena woman was taken to a hospital for a mental evaluation and treatment, he said. When officers searched the woman’s car they found numerous rocks similar to the rocks found at the crime scenes, police said. Ex-Calif. State Sen. Leland Yee, gun control champion, heading to prison for weapons trafficking (The Washington Post - link): On the surface, the story of Leland Yee looks like a precipitous fall from grace. The 67-year-old had risen steadily in the ranks of Bay Area politics since the late 80s, when he was elected to the San Francisco School Board. He then went on to sit on the city’s Board of Supervisors and in the State Assembly. The latter role saw him become the first Asian American speaker pro tem in 2004, making him the second-highest ranking Democrat in the California assembly at the time. From 2006 onwards, Yee served as a state senator and was plotting a secretary of state campaign when his political visions were curtailed by a federal indictment in March 2014. The arrest swept Yee and his associate Keith Jackson, 51, up in charges alongside some of the city’s most notorious characters, notable among them Chinatown gangster Raymond “Shrimp Boy” Chow. It was one thing for the public to learn that Chow, a known convict, may have become embroiled in more objectionable schemes. But it was quite another to hear that Yee, a respected public figure who had supposedly distanced himself from San Francisco’s corrupt past, was being accused through the same undercover FBI investigation. This Wednesday, Yee received a five-year prison sentence for accepting bribes and trafficking in arms. 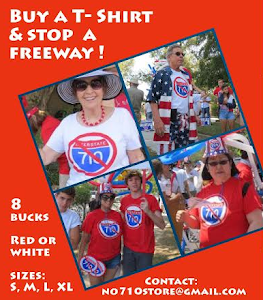 California Lawmakers Mobilize to Weaken Transparency Initiative (Reason - link): Almost everyone has some idea for fixing whatever is wrong in Sacramento, ranging from new campaign spending limits to a requirement that legislators wear NASCAR-style sponsor logos. Such reforms, however interesting they might sound in theory, never change anything. The problem, of course, is the state government is so big and spends so much money that lobbyists will always try to control and influence it. 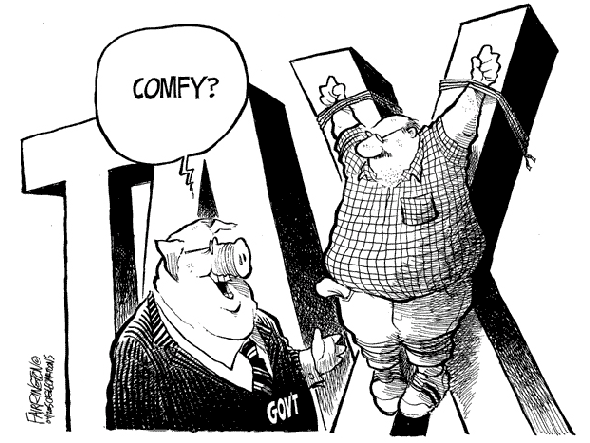 Real reform would mean reining in the power of government—an idea that's never on the table. Does that mean we abandon any hope of making state government more accountable? Probably not, but it's important to focus on reforms that work—rather than simply venting our populist anger. One of the most significant proposed reforms since the passage of property-tax-limiting Proposition 13 in 1978 is headed toward the November ballot. Backed by former Republican state Sen. Sam Blakeslee of San Luis Obispo and funded by moderate GOP donor Charles Munger Jr., "The California Legislature Transparency Act" is far more significant than its title would suggest. The initiative has such potential to shake up the way legislation is passed that legislative leaders spent the week trying to undermine it. Backers of the Blakeslee/Munger measure have submitted a million-plus signatures. It is likely to pass by overwhelming margins. Opponents' only way to derail it is to confuse voters by placing a similar-sounding, but weaker, measure on the ballot and passing a related reform in the Capitol. The transparency act's main provision requires that "no bill may be passed or ultimately become a statute unless the bill with any amendments has been printed, distributed to the members, and published on the Internet, in its final form, for at least 72 hours before the vote" can be taken. It includes emergency exceptions. Legislators often pass "gut-and-amend" measures in which the original bill's language is stripped out and replaced with something completely different. The transformed bill is rammed through in the final moments of the session. Often, legislators haven't even read the details of what they approved. No one—except for the legislative leaders and lobbyists who cobbled together the bill—knows what happened until it's too late to do anything about it. The initiative also requires all committee hearings to be recorded (audio and video) and made publicly available within 24 hours. It gives the public the right to record hearings and floor sessions with their own phones and recorders. The measure is based on the simple concept that openness leads to better government and less bad behavior. 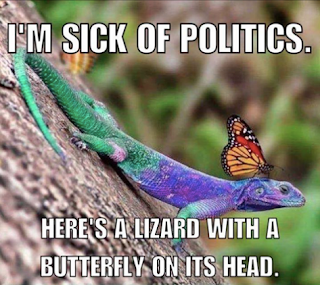 No wonder the Legislature is scurrying for a softer alternative. Many lawmakers want SCA14 to go on the same ballot. If this constitutional amendment passes with more votes, the Blakeslee-Munger initiative would not go into effect. SCA14, passed in committee, deals with the 72-hour transparency issue but critics say it's so laden with loopholes it renders the reform nearly meaningless—even after some last-minute amendments that bring it a bit closer to the initiative. John Leung and Bart Doyle. Two bros back in the day. Long time readers of The Tattler will know all about this story. 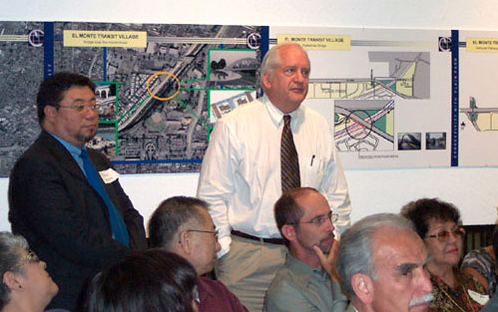 Back in the earliest days of this blog we closely covered the story of El Monte's "Billion Dollar Bus Station," a get rich quick scheme that was conveniently backed by a whole lot of taxpayer money. Federal and state. Big primitive regional planning organizations like SCAG were intimately involved as well (link). And as many here are also well aware, the whole stinking mess blew up quite gloriously back in 2011. 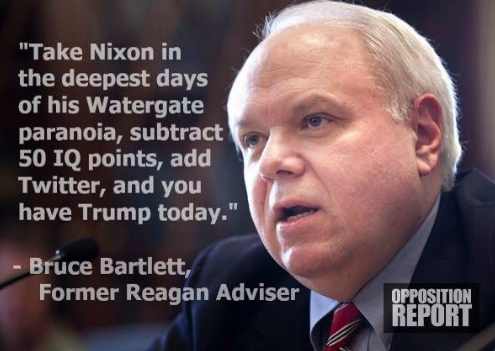 It was quite a scandal. As you will now find out thanks to the following Pasadena Star News article (link), the party is hardly over. Apparently we are today moving into the prosecutorial phase of the drama, and of course we will be following all of that quite closely. Because there is a very Sierra Madre angle to all of this, as I will happily share with you in a minute. The rest of this article can be found by hitting the link we posted at the beginning of this page. And if you want to check out that chronology of events they've put together about the failed El Monte Transit Village disaster, you can click here. 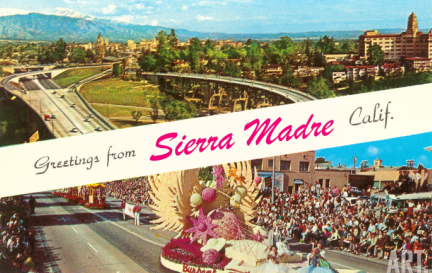 Now you might be wondering what the Sierra Madre connection to all of this is, and of course we are glad to share that with you. Apparently former Sierra Madre Mayor Bart Doyle, who recently emerged from wherever it is that he hangs out to offer his support for utility tax boondoggle Measure UUT, was also a big name at the Titan Group. He ran into a little legal trouble himself back in 2011. Former Sierra Madre Mayor Bart Doyle and Others Named In Lawsuit Filed by the City of El Monte - The San Gabriel Valley Tribune is going with a shocker of a story this morning, one that reaches right into the very heart of certain centers of influence here in Sierra Madre. 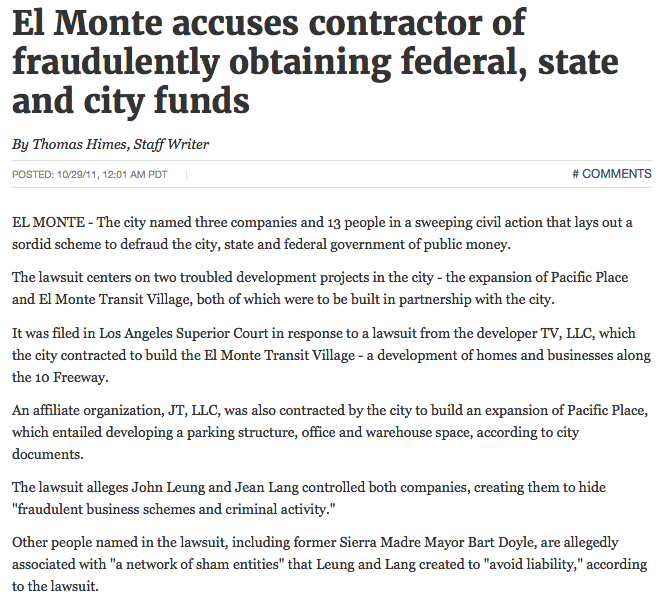 The article is titled "El Monte accuses contractor of fraudulently obtaining federal, state and city funds," and can be accessed by clicking here. 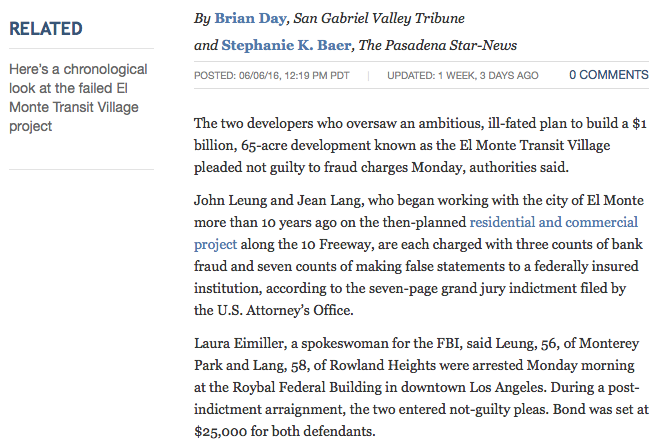 This follows several recently published reports that both the FBI and HUD have been involved in the investigations swirling around the ill-fated El Monte Transit Village, pejoratively known as the "Billion Dollar Bus Station." With HUD's concern also centered around improperly used government funding for what has become quite a redevelopment debacle. Here's that 2011 newspaper account. You can read the rest of this one by clicking here. 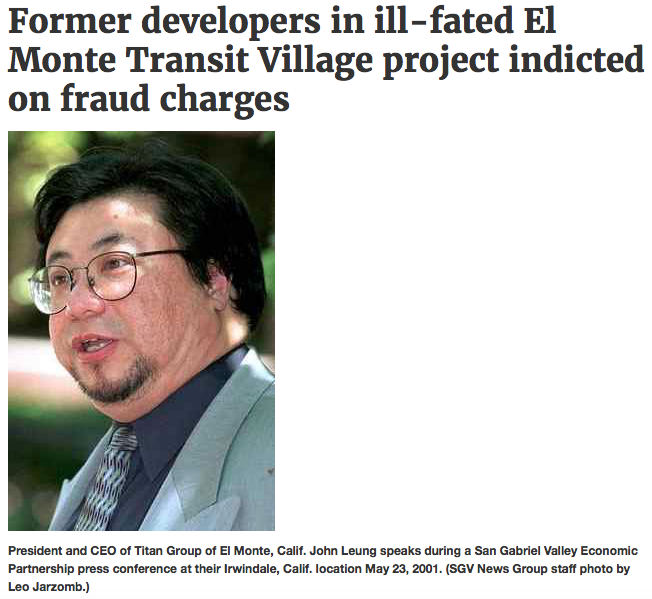 So why wasn't Bart Doyle arrested by the Feds last week along with his former "Billion Dollar Bus Station" business associates John Leung and Jean Lang? I really have no idea. But I can venture this guess. Perhaps he has agreed to become a witness for the prosecution? 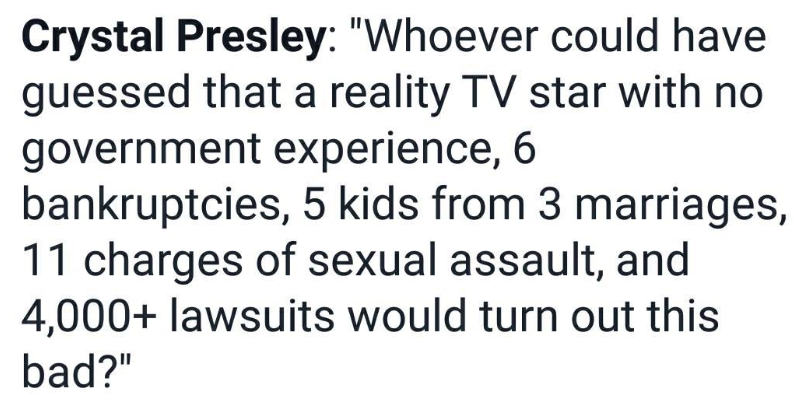 We just might have to head on down to the courts for the trial and see what is up. Do You Like Stories With (Almost) Happy Endings?